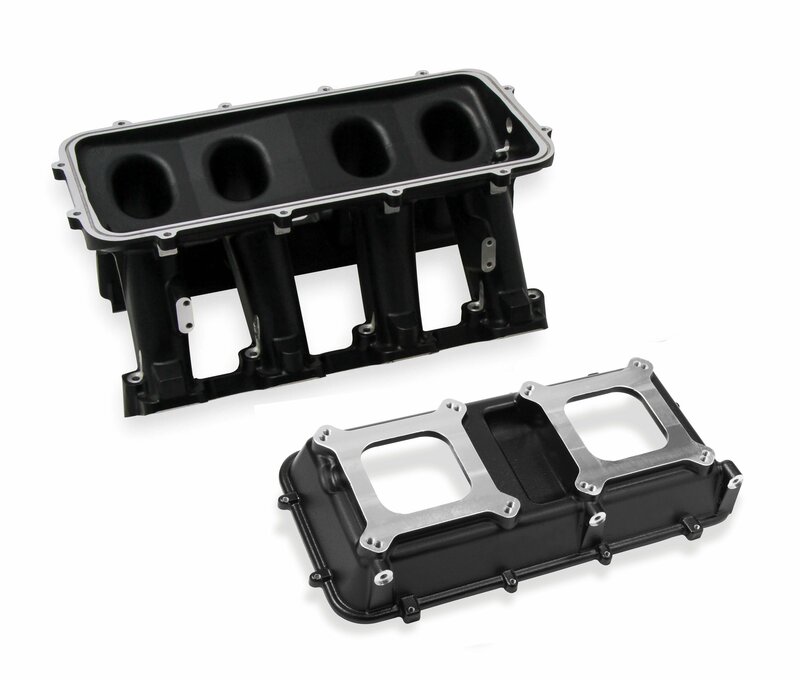 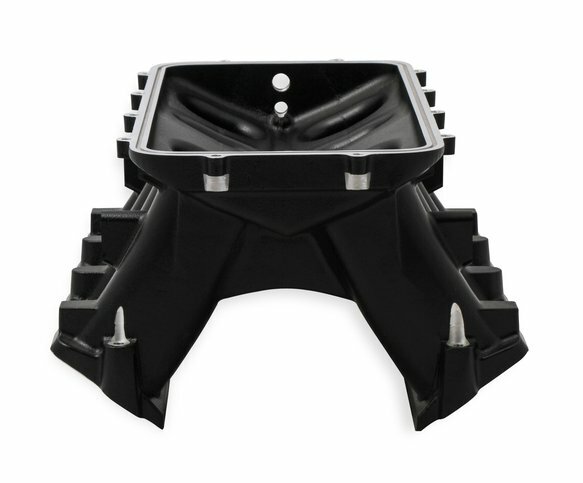 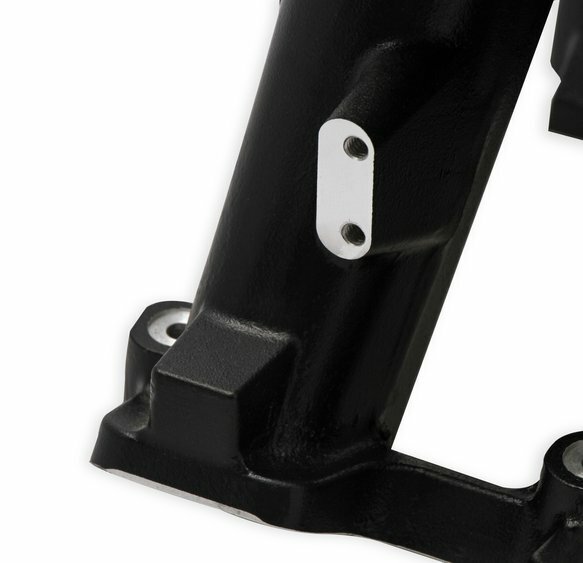 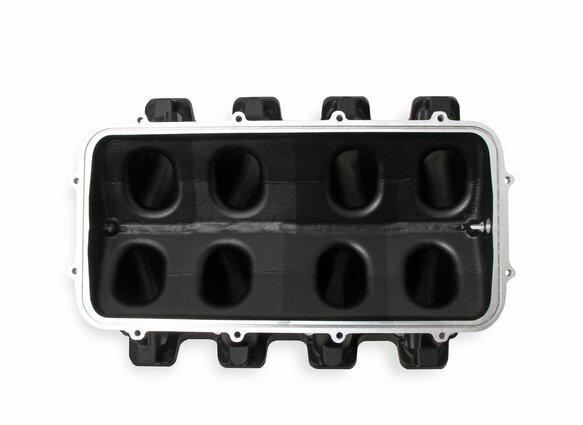 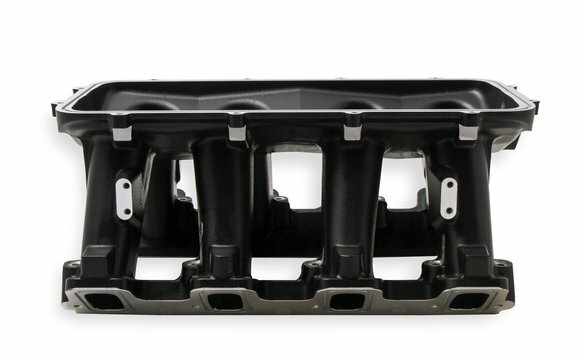 The Holley GM LS3/L92 Modular Hi-Ram Intake Manifold is introduced as a cost effective alternative to fabricated sheet-metal for high-performance applications where induction system height is not limited. 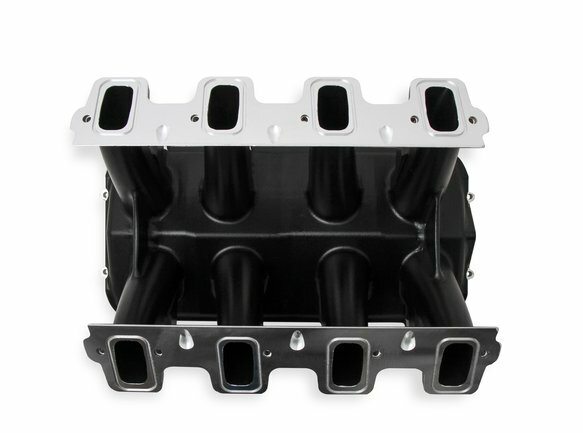 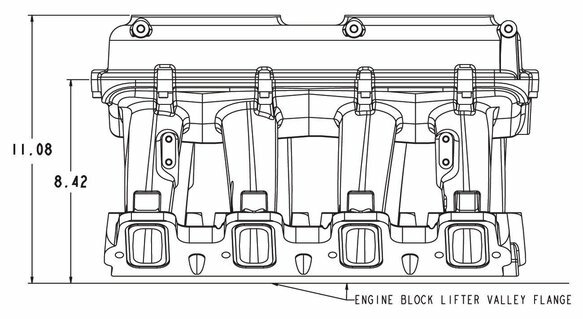 Coupling this Hi-Ram intake with the high flowing LS3/L92 style cylinder heads has outstanding potential for N/A and forced induction applications at a budget-minded cost. 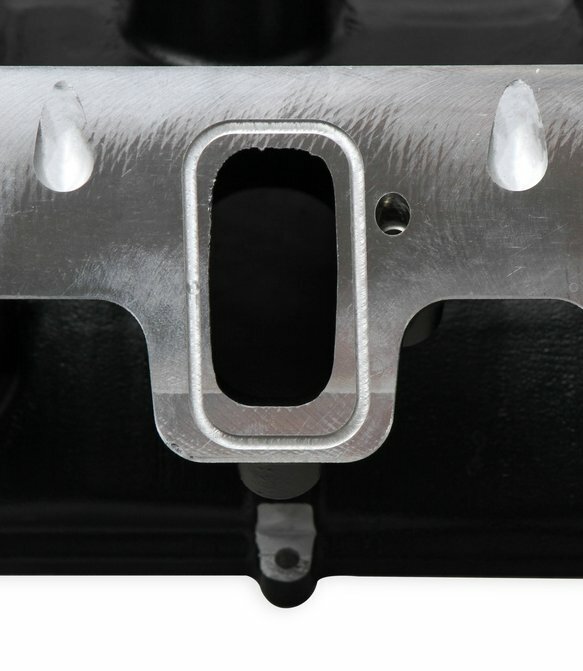 Aggressive, bold, race-bred styling will make bad intentions clear for drag race, muscle car, marine, off-road, sandrails, pulling trucks, track, street-rod applications and more! 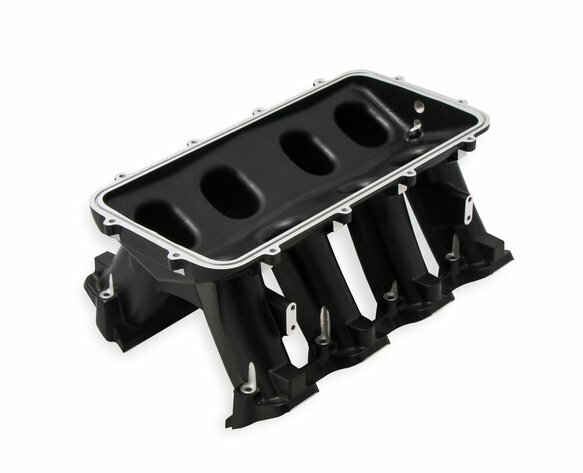 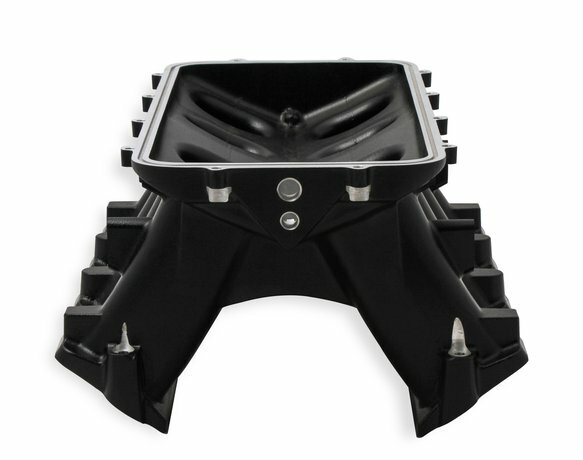 • The base is designed to be modular in configuration to accept a wide range of carbureted and EFI tops and to be attractive to builders and fabricators as the foundation for custom induction systems. 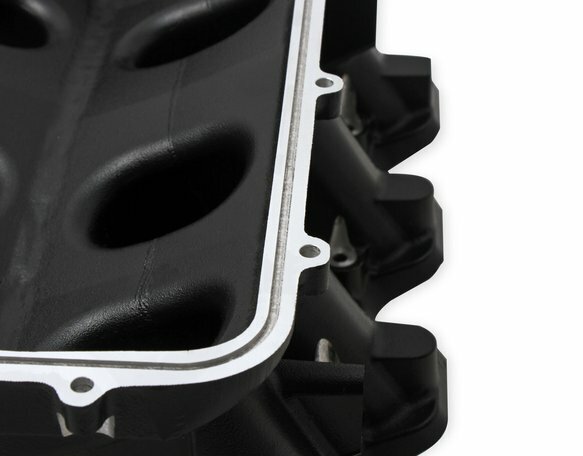 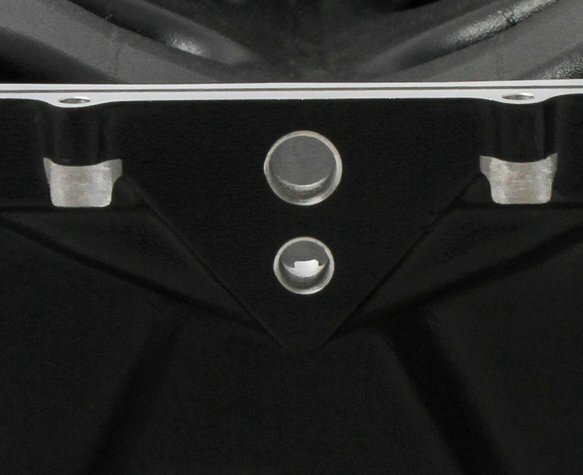 • Runner length and the tapered cross-section designed to perform well for a wide range of engine configurations • Cast aluminum construction w/black ceramic coating • Intended for use on N/A or forced induction engines in the 6.0 to 7.0+ liter range, max power at 7000-8000+RPM.